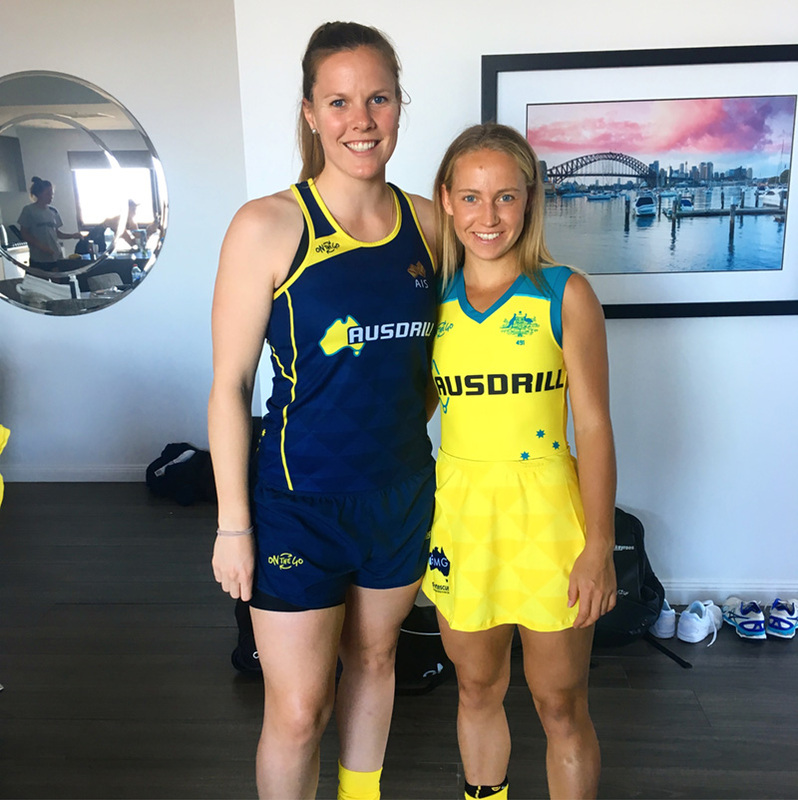 As the Hockeyroos line up against Canada today in the first round of a battle for Commonwealth gold, UWA’s Georgia Wilson, will be cheering them on while recovering from a knee injury, sustained just weeks before the Games kicked off on the Gold Coast. The talented 21-year-old midfielder and Bachelor of Science student, who made her debut for the national side in June last year, tore her left anterior cruciate ligament during training with the Australian side in January. She’ll join other side-lined Hockeyroos members in watching the action at home in Perth in between a demanding rehabilitation schedule that includes swimming, gym and strength training as she works to keep her fitness. “It’s been three months now and I’m finally starting to process the ordeal,” Georgia says, describing the injury as the lowest point of her life. "I was continually asking myself why when it first happened. I had just invested six weeks of pure pain and dedication in my pre-season and had set a new personal best beep test of 13.8 the day before the accident. I was putting everything I had into competing in the Commonwealth Games and we also had the 2018 World Cup coming up in London in July." The Hockeyroos, who are shooting for a fourth-consecutive Commonwealth Games gold medal, will be without a WA representative after striker Kathryn Slattery was left out of the 18-strong squad, on top of Georgia being ruled out with injury. With her injury likely to keep her sidelined for a year, the student athlete says she almost immediately began the lengthy rehabilitation process (“I still feel terrible but I’ve been getting the job done”) and says she’s confident she can make an impact in the sport on her return. With plans to study Medicine post grad, she also intends to volunteer at the Perth Children’s Hospital when it opens and is currently indulging in her love of cooking to fill in the hours between rehab and study. “It hasn’t been great but I have no doubt I’ll come back,” she says. “I’m just going to have to make sure I am patient. It gives me the opportunity too to work on some weaknesses like my agility and my running technique.